Intertops.eu has been around since the beginning of the online sports betting world. Intertops.eu first accepted a bet online in 1996 and having your own personal bookie at your fingertips was born. Once upon a time, in a world before the internet, if you wanted to place a wager on a sporting event then you would have to search the streets and find a bookie. For many years now, sports betting has grown in popularity with the aid of the internet and online sports betting sites popping up everywhere. 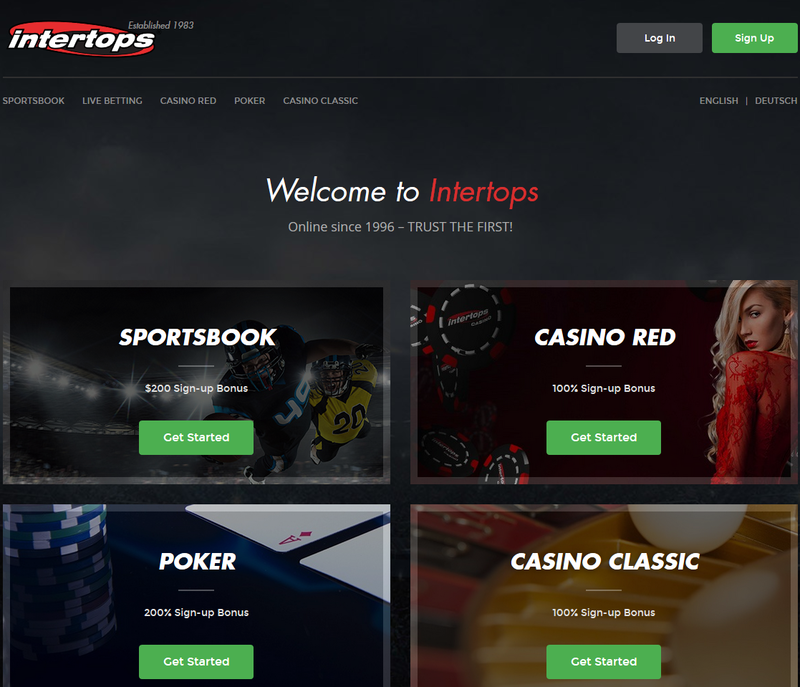 Intertops.eu has been around since the beginning of the online sports betting world. Intertops.eu first accepted a bet online in 1996 and having your own personal bookie at your fingertips was born. Besides, their unmatched longevity in online sports betting, Intertops has many other advantages to offer sports fans and recreational poker players. One of the best advantages Intertops offers is they welcome players from the United States. Online betting has been a difficult avenue for Americans and Intertops is one of the very few places you can legally gamble if you are in the U.S. Depositing is made easy with many options available for both Americans and non-Americans. Intertops also has great bonuses when you make your first deposit and bonuses for reloading your account. Withdrawing funds from the site are quick and dependable and pay is always on time. Other advantages include a great rake-back program, leaderboards, and year around promotions. Contacting support with any issues or questions can be done by email. There is also the option of chatting or talking with support via Skype. Intertops support team will promptly answer questions and solve any issues. Intertops does have a few drawbacks. Poker games are limited to only micro stakes. Also, being as old as they are, the software and odds are not as up to date as some other sites, however, some of the other sites are not as honest or reliable. Futures on non-sporting events: Intertops Sportsbook doesn’t only offer wagers on sports. Check out our hot odds on your favorite TV programs, politics, awards, the stock market and poker!